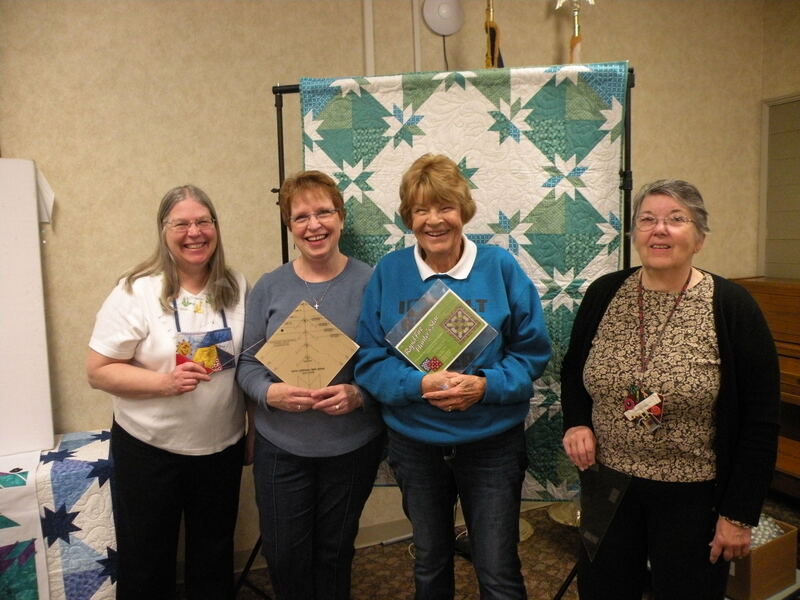 I had the honor of spending a day with 13 members of the Piecemakers Quilt Guild in Galesburg, IL. I conducted a full day workshop using Deb Tucker’s Rapid Fire Hunter’s Star tool. The group picture represents the ladies who were taking their tool out for the first time in over 6 months. Julia’s tool was purchased in 2007 and she was thrilled to finally put it to use. Thank you so much for having me Piecemakers. I hope we can do it again soon. Rapid Fire Lemoyne Stars, here we come! Check out my facebook at Stitchin’ in the Ditch for additional photos.